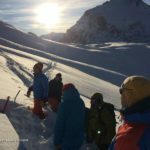 These guided via ferrata weekends will give you an unforgettable experience in the stunning scenery of the French Alps. I will meet you at Geneva airport on the Friday. We will then make the transfer to Albertville and the Hotel Costaroche. Our journey will take us along the shores of the beautiful Lac d’Annecy. Arriving Friday late afternoon / early evening at Geneva airport you will soon find yourself looking out at the mountains of the French Alps. 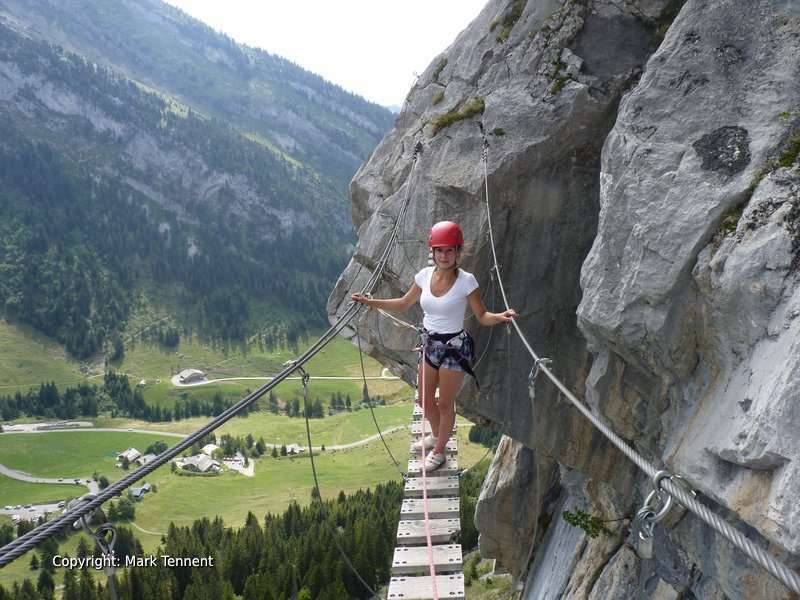 For the next 3 days you will get to enjoy some of the best via ferrata in the French Alps. My experience will ensure that the via ferrata you climb will be the most suitable for you and the current conditions. 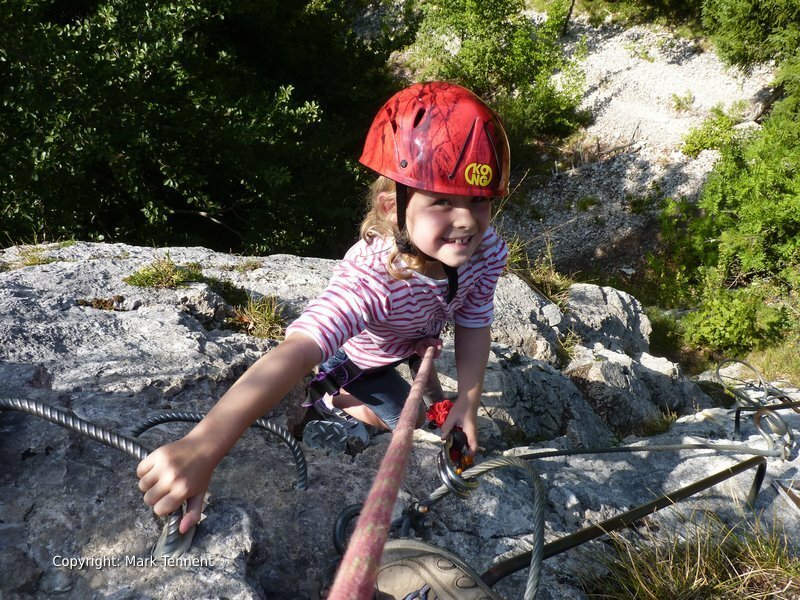 On Saturday and Sunday you will have two full, action-packed days climbing via ferrata. On Monday we often head to the small town of Thones in Haute Savoie. The Roche à Agathe is superb! After completing the via ferrata we will head for Geneva airport. I provide all the technical equipment (harness, helmet, via ferrata lanyard system). 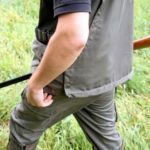 You just need to bring outdoor clothing for spending a day in the mountains. I will send you a suggested equipment list when you book. Via ferrata are very safe provided you follow the simple instructions I give you. Rest assured I will be keeping a constant eye on you! These guided via ferrata weekends are based at the Hotel Costaroche ** in the town of Albertville host to the 1992 Winter Olympic Games. Albertville is a great base at the hub of different valleys allowing us to access the most suitable via ferrata for the day. You do not need any previous experience as I will explain and demonstrate everything to you. There are via ferrata available at all levels of difficulty. The choice of routes is made to challenge you but without going out of your comfort zone. 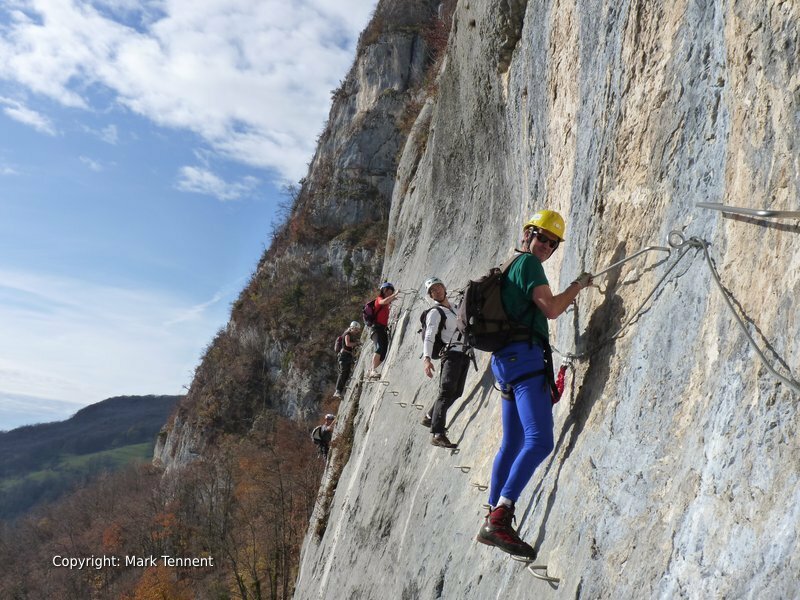 French via ferrata grading is explained in my “Beginner’s Guide to Via Ferrata“. Below is a typical itinerary however it may vary due to the group and weather conditions at the time. It is always best to be flexible with plans in the mountains. Friday – I will meet you at Geneva Airport for a single group transfer to Albertville. Normally you will need to aim to arrive at Geneva no later than 7 p.m. (19h00). 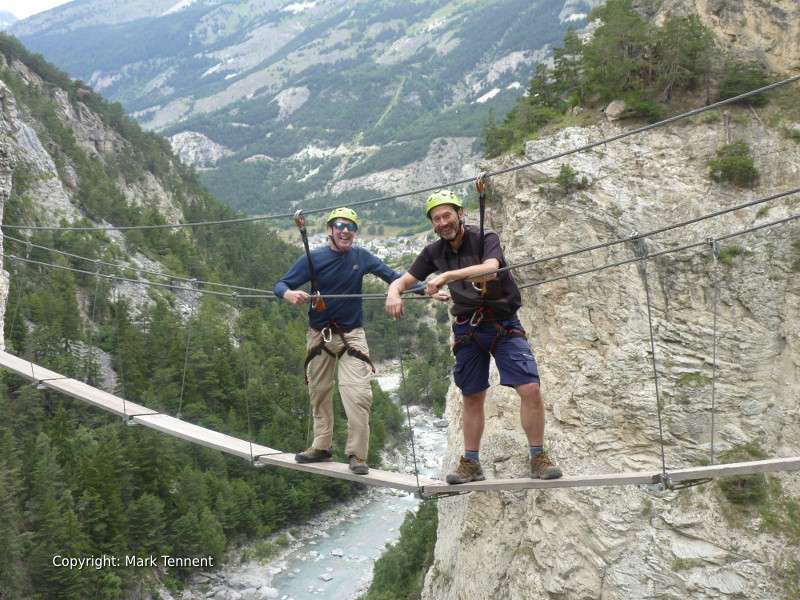 Saturday – Our first day typically starts with a via ferrata at Peisey-Nancroix. 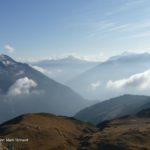 The valley here on the edge of the Vanoise National Park is stunningly beautiful with Mont Pourri, the second highest peak in the Vanoise high above. 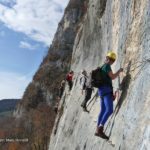 The via ferrata has three sections becoming progressively more difficult but should it be necessary it’s possible to take an easy way off after the first and second sections. Sunday – We drive into the Maurienne valley today to the River Arc gorge just beyond the town of Modane. 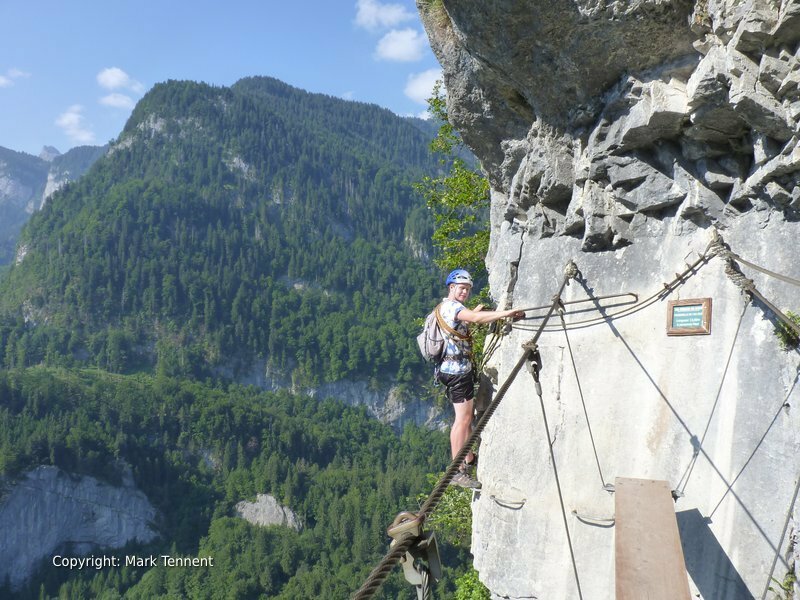 This deep gorge is the home to a range of via ferrata of all levels. The gorge is overlooked by the Forts d’Esseillon that date from 19th century to protect the Kingdom of Piemont-Sardaigne from invasion by the French. Some of the via ferrata finish through the walls of the fort. 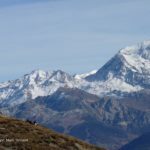 Monday – Today we head towards Annecy and the town of Thones in the edge of the Aravis mountains. The via ferrata overlooks the town on the Roche à l’Agathe. The route starts easily before a short wire bridge gains a steeper cliff face. The route continues a rising traverse with plenty of “exposure” to pass a possible “escape” route right to join the descent path. Climbing on we reach a choice of finishes. Except for the physically strong the route finishes up a ladder climbed facing outwards before finishing up rocky slabs. For those with strong arms and a cool head there’s the very challenging direct finish. Having made the descent from the top of the route we will transfer to Geneva airport. The final programme will be decided with regards to the prevailing conditions and the desires of the group. Accommodation: The Hotel Costaroche, Albertville, 2** (other options available on request). Meals: Dinner, Bed & Breakfast, Packed lunch. Loan of technical equipment (helmet, harness, via ferrata set). Transfer from Geneva / Lyon / Grenoble airport or from Chambery or Albertville railway station.